Hong Kong Airlines will launch its first daily direct service to Auckland, New Zealand on November 10th, 2016. An Airbus A332 aircraft with 283 seats, including 24 in business class, will be deployed on the route. Located in the North Island of New Zealand, Auckland is surrounded by two different harbours on the east and west side of the city. Thanks to the love of sailing by its citizens, Auckland also bears a nickname, “City of Sails”. Not only is it the most populous area in the North Island, Auckland has various spectacular natural sceneries in close proximity, such as volcanoes and islands; and together with the mild weather, it has been repeatedly named one of the world’s most liveable cities. You can be almost anywhere in just half an hour from the city centre, including sailing to an island, bungee jumping from the Auckland Bridge, trekking through the rainforest, sampling wines at a vineyard and enjoying the Art Gallery or Aquarium. Li Dianchun, chief commercial officer, Hong Kong Airlines, said: “With the success of our service to Australia earlier this year, Hong Kong Airlines is more than delighted to announce this second long haul service, operating daily to Auckland, New Zealand. 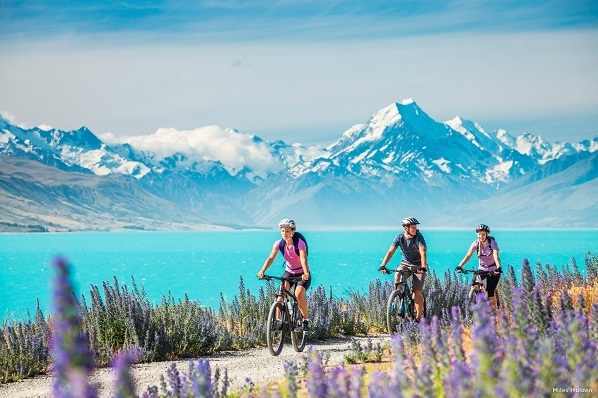 “There has been a steady increase year on year in the number of Hong Kong and China travellers visiting New Zealand. “According to official figures by New Zealand Government, as of March 2016, the total number of visitors from Hong Kong and China has recorded a rise in 19.1 per cent and 27.8 per cent respectively.